Human nature is a funny thing. Some scientists, like biologist E.O. Wilson  and linguist Steven Pinker  are pretty convinced it is a real thing, and that it seriously constrains what we are going to do with our lives (the entire discipline of evolutionary psychology, or sociobiology as it was known in its first incarnation, is predicated on it). Then again, plenty of philosophers I have talked to in recent years seem to be genuinely surprised that one could still talk about such a thing in all seriousness . Surely that quaint idea went out the window after decades of criticism of genetic determinism, they say. This, of course, despite the fact that there is a long and venerable tradition in philosophy of perfectly comprehensible talk about human nature . Indeed, even people like Pinker seem to be sending somewhat mixed messages about the whole concept: on the one hand he vehemently (and justly) attacks the idea of a “blank slate” (though I don’t actually know too many people who hold onto it in anything like the original, strong, Lockeian version ). On the other hand, however, he claims — huge data sets in hand — that human beings have been able to yield to the “better angels” of our nature and have progressively built societies characterized by less and less violence . Because of my original training as an evolutionary biologist interested in nature-nurture issues , I guess I never understood the (alleged) dichotomy. My basic take is that human behavioral traits (“human nature”) are the result of a continuous and inextricable interaction between our genes and our environments — which means that it makes no sense to ask what percentage of what we do is “caused” by genes and what percentage by the environment. If you add the well established concept, in evolutionary biology, of phenotypic plasticity — the idea that different sets of genes help produce wider or narrower ranges of behaviors in response to the quality of environmental inputs, and that the majority of these environmental inputs are nowadays the result of cultural forces — you’ve got a fairly solid framework to argue that yes, there is such a thing as human nature, but no, it isn’t unchangeable. You might think that this would reassure both the scientists who insists (rightly) that human beings are not infinitely malleable blank slates, and the humanists who are (again, rightly) weary of the sinister socio-political implications of strong biological determinism. Everybody wins, can we go home now? No, unfortunately it ain’t that easy. Too many scientists doggedly insist in not taking their humanist critics seriously enough, and too many humanists equally stubbornly resist giving even an inch to anything that smells like “biogilization.” It is not by chance that C.P. Snow famously called this divide “the two cultures” . But the debate in question is far from new, and perhaps it will help taking a closer look at one of its most interesting previous incarnations, dating back to the Enlightenment, and featuring some of the most prominent British empiricist philosophers, chiefly David Hume. I will summarize the debate as reconstructed in a lovely paper by Michael Gill published a number of years ago in Hume Studies . Gill bases his analysis on what Hume writes in the aptly titled, given our topic, Treatise of Human Nature , and sets it against the background of a controversy concerning the origins of human sociability then raging among Bernard Mandeville (who was actually Dutch), Francis Hutcheson, and Anthony Ashley Cooper, Third Earl of Shaftesbury [11, 12, 13]. Throughout the following, of course keep in mind that all of this was pre-Darwin and pre-Mendel. Nonetheless, at the end I will attempt to bring Hume’s ideas as they emerged from the debate with his contemporaries up to speed and we’ll see what sort of Humean modern view of human nature we may be left with. Gill’s main thesis is that Hume developed a “progressive” account of human nature, against the backdrop of a discussion among three of the so-called “late philosophers” in England, the above mentioned Mandeville, Hutcheson and Shaftesbury. They all agreed that human beings are social, but disagreed on the origins of our sociability: for Mandeville (in classic Hobbesian fashion) it is self-interest; for Hutcheson and Shaftesbury it is natural benevolence. Shaftesbury presented as evidence of our benevolent nature the fact that we derive so much pleasure from friendship and other social interactions, and even from the very fact of doing good deeds. Similarly, Hutcheson said that we have an innate sense of public good (we feel good when others are happy, cringe at others’ misery) and moral good (approve of virtue and disapprove of vice). Mandeville was of a very different opinion, according to which our basic nature is selfish and we organized in groups only to protect ourselves, first from natural dangers, then increasingly from each other. Modern society’s complex “commerce” and “standards of politeness” are made possible by our ability to communicate and write, but are still rooted in our original selfish nature. To understand Hume’s further discussion we need to keep in mind that for him a virtue consists of having a certain motive for action. Now the motive for justice cannot be regard for justice, on pain of circularity. It can’t be self love either (although it did exist in pre-civilized humans, and is therefore natural, according to Hume), since this will often be in conflict with justice. Hume also rejected regard for public interest as a motive for justice, thus apparently (but only apparently!) landing squarely in Mandeville’s camp. Indeed, Hume went so far as to conclude that “In general, it may be affirm’d, that there is no such passion in human minds, as the love of mankind, merely as such, independent of personal qualities, or services, or of relation to ourself.” Emotions about other human beings, maintained Hume, are always directed at particular individuals, not at humanity in general. The converse is true as well: we don’t get a sense of justice by generalizing our feelings for particular individuals, because sometimes we ought to and do behave justly toward people we deeply dislike. Hume agreed with Mandeville (and with Hobbes) that we have developed societies because we would otherwise have a hard time surviving on our own. So, societies originated out of the self interest of individuals. The fact that justice then also arises from selfish motives can be derived from the observation that we simply wouldn’t need justice if we were naturally disposed to respect the interests of others. Where Hume began to diverge from Mandeville is with the latter’s contention that, essentially, we are all hypocrites when we talk about morality. For Hume, rather, people have genuine moral feelings of justice. Hume’s middle way between Mandeville on one hand and Hutcheson and Shaftesbury on the other, is the idea that we initially want justice for selfish reasons, but eventually develop a mental association that leads us to approve of justice even when it runs counters to our selfish motives. To recap the situation so far: Hume agreed with Mandeville that justice is an artificial virtue originating in self interest; but he also agreed with Hutcheson and Shaftesbury that people exhibit genuine non self interested feelings of justice. All three of his predecessors would have thought these two positions to be mutually incompatible. The Humean engine for this change is the famous principle of association: we begin by disapproving of acts of injustice that do not affect us (because they tend to be harmful), and we end up conjoining disapproval and injustice in general. Which means we develop a broader disapproval of all unjust acts, including those that benefit us. This mechanism, says Hume, applies not just to justice, but to all morally relevant sentiments. Gill makes a final interesting point by drawing a distinction between two senses in which one may ask about the “origins” of something: chronological and functional. For instance, we could ask what is the origin of the Constitutional powers of the American government and provide two very distinct, not mutually exclusive, answers: they came from a Constitutional convention held in Philadelphia in 1787; and they are rooted in consent of the people (at least in theory). The first answer is chronological, the second is functional. What are we to make of the Humean solution to the Mandeville-Hutcheson-Shaftesbury debate, from our post-Darwinian and post-Mendelian perspective? Roughly speaking, we could say that both Mandeville, on one hand, and Hutcheson and Shaftesbury, on the other, were early versions of what today we would call biological determinists — they only disagreed on the qualitative nature of that determinism (selfish for Mandeville, benign for the other two). And of course I have already mentioned Locke’s “environmentalist” view, even though he was not directly involved in the tale recounted by Gill (and was increasingly disparaged by Hume, as the years went by). Hume’s position, however, can be updated in a more nuanced and interesting way, from the vantage point of modern biology and social science. At the risk of stretching Hume’s own intention (but, really, I am interested in what to make of human nature, taking Hume only as an inspiring starting point), I am going to suggest that his acknowledgment of a “natural” status for our moral feelings is a due and reasonable concession to the “naturist” camp in the nature-nurture debate. There is no getting around it: human beings are a particular biological species, characterized by a historically inherited genetic environment that constrains the way we act, feel and think. What elevates this to the lofty status of “human nature” is that our closest evolutionary cousins (bonobos, chimpanzees, and other great apes) have a significantly different genetic and behavioral repertoire — despite of course a certain number of (expected, since we are talking about evolution) similarities. But Hume’s principle of association can be profitably recast as an embryonic theory of cultural evolution, according to which we are capable of generating novel (genuine) feelings out of a combination of experiences and our ability to reflect on those experiences. 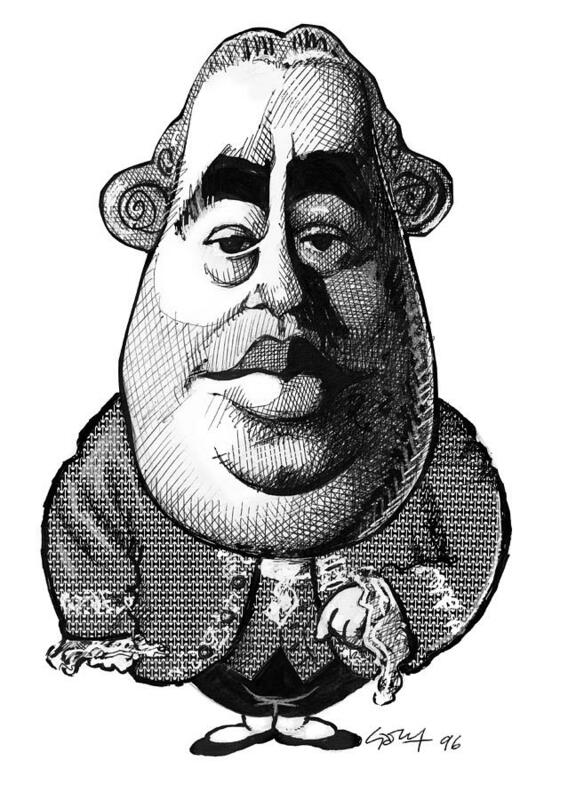 Even so, we need to acknowledge that Hume was at the least partly wrong on empirical grounds — a correction he would have very likely not objected to, given his interest in grounding “moral” philosophy (i.e., all philosophy outside of natural philosophy) in a better understanding of human nature. As it turns out, a mounting body of work shows that not only members of all human societies (“primitive” or not), but even other species of primates show clear signs of an innate sense of fairness, which is the grounding for our concept of justice . Moreover, and this is far more problematic, we also need to admit that — despite much interest and a number of valiant efforts — we really don’t quite have a good theory of cultural evolution at hand. I tend to be somewhat skeptical of Darwinian-type theories of cultural evolution, for the chief reason that culture seems to be much more obviously a Lamarckian-type process. And I truly think nothing of so-called memetics, for a number of reasons that I will perhaps get into (again: ) at some future time (but mostly, because “memes” are a rather uninformative, if not downright misleading, metaphor and nothing else). At any rate, the basic, somewhat Humean (or Hume-inspired) outline of what I’m thinking about is that human nature — i.e., what it is to be human, as opposed to, say, being chimpanzee — evolves both genetically and culturally, with the two constantly interacting with each other, and yet, I think, with the cultural component becoming more and more independent of the genetic one. Consider, as a controversial example, Pinker’s own theory in The Better Angels of Our Nature, that violence has more or less steadily gone down throughout human history (yes, despite two world wars in the 20th century!) at the least in part because of our ability to talk to each other and originate and spread (philosophical) ideas about democracy, justice, and so on. If Pinker’s outline is even remotely close to the truth, then we have a situation where pre-existing feelings of intra-group fairness and cooperation, which we inherited from our primate ancestors, gradually, via cultural evolution, got more elaborated and became applied more broadly, generating what Peter Singer refers to as our enlarging circle of empathy and moral concern . The idea is that if, indeed, we are making moral progress (as Singer suggests, and as Pinker-style data seem to confirm), then this in an important sense counts as a change in human nature, but it is one achieved largely via cultural evolution, itself grounded in our specific genetic heritage as social primates. There is, of course, much more to be said to satisfactorily fill in the details of this sort of broad picture, but the picture itself is certainly one with which Hume would have been pleased. E.O. Wilson, On Human Nature, Harvard University Press, 1978. S. Pinker, The Blank Slate: The Modern Denial of Human Nature, Viking, 2002. See, for instance, J.J. Prinz, Beyond Human Nature: How Culture and Experience Shape Our Lives, Norton, 2012. J.J. Kupperman, Theories of Human Nature, Hackett, 2010. See the Stanford Encyclopedia of Philosophy article on Locke. S. Pinker, The Better Angels of Our Nature: Why Violence Has Declined, Viking, 2001. M. Pigliucci, Phenotypic Plasticity: Beyond Nature and Nurture, Johns Hopkins University Press, 2001. C.P. Snow, The Two Cultures and a Second Look: An Expanded Version of the Two Cultures and the Scientific Revolution, Cambridge University Press, 1964. M. Gill, Hume’s progressive view of human nature, in Hume Studies 26:87-108, 2000. D. Hume, A Treatise of Human Nature, 1738 (Project Gutenberg version). Bernard Mandeville (15 November 1670 – 21 January 1733), was a Dutch philosopher, political economist and satirist. Born in Rotterdam, Netherlands, he lived most of his life in England and used English for most of his published works. He became famous for The Fable of the Bees. The Rev. Francis Hutcheson (8 August 1694 – 8 August 1746) was an Irish philosopher born in Ireland to a family of Scottish Presbyterians who became one of the founding fathers of the Scottish Enlightenment. Anthony Ashley Cooper, 3rd Earl of Shaftesbury (26 February 1671 – 4 February 1713) was an English politician, philosopher and writer. For a modern version of this, see E. Sober and D.S. Wilson, Unto Others: The Evolution and Psychology of Unselfish Behavior, Harvard University Press, 1999. See, among others: F. de Waal (et al.) Primates and Philosophers: How Morality Evolved, Princeton University Press, 2006. See: M. Pigliucci, Memes, selfish genes and Darwinian paranoia, Rationally Speaking, 26 July 2009; as well as: M. Pigliucci, Is cultural evolution a Darwinian process?, Rationally Speaking, 11 March 2013. P. Singer, The Expanding Circle: Ethics, Evolution, and Moral Progress, Princeton University Press, 2011. I have been listening to NIH lectures on new genetic and epigenetic contribution studies mainly of mental illness – it is very, very complicated molecular work requiring vast amounts of researchers, labs and coordination of databases and studies across the world. How would a of hypotheses about culture be tested with similar rigor? You might get one value for societal contribution with one set of societies and a very different value with another set of societies. Absolutely, both the environment and the range of environment will be different in Society A than in Society B, thus the percentages will indeed be different. That’s why I was careful to say that the study gives you the percentages *given* the range of variation in *that* study, and that one should be careful not to over-interpret the results. If you’re trying to get at a notion of “what are the percentages independent of the vagaries of the society under study?” then that is a faulty question, since the range of the environment in the study (= vagaries of the society under study) is exactly what you are studying. So if I understand you right we ought to talk about the impact of one society. We hold the society constant and vary the genes. So let’s say that the chance of imprisonment is 10% for the sample set overall, but rises to 20% for a twin of a prisoner and falls to 8.8888…% for twins of non-prisoners (I think those figures work). How do you turn that into ratio where we say imprisonment is X% due to genes and Y% due to environment? I think Massimo is generally on the right track. However, I will nod my head to Hobbes in a sense, and speculate on whether modern changes are very deep or more a veneer. After all, Europe had had a nearly peaceful century before 1914, and soon had mass slaughter which included such things as poison gas. Then, we had pacts to “outlaw” war, post-Versailles, only to see something more destructive yet. So if I understand you right we ought to talk about the impact of one society. Not really, I’m just saying that if you’re asking about the effect of environment/society then you need to be clear which environment and which range of environment you are considering. Obviously you’ll get different answers to the question for different environments. We hold the society constant and vary the genes. The crucial step is keeping the genes constant (by using identical twins, both ones reared together and ones reared apart). How do you turn that into ratio where we say imprisonment is X% due to genes and Y% due to environment? I presume by “twin” you mean identical twin, not fraternal. And let’s also suppose that these twins have been separated at birth and reared apart (thus the range of environment of the twins can be taken as the same as the range in the general sample). Then, if this were a 100% genetic trait (cf. eye colour) then having an identical twin in jail would produce a 100% probability of you being in jail. Also, if there were no genetic component (cf. dialect), then the number for the twins would be the same as in the overall sample. So, an increase of 10% for the twins means that 10% of the outcome variance is explained by variation in genes, and thus 90% by variation in environment (at least, I think that’s how the numbers work, I could be mis-doing the maths). So can you cite this research? There is an awful lot of research which goes on in the name of the “publish or perish” imperative and not all of it is useful or true. It seems a much simpler and more likely explanation that any given area of land could only support a population of a certain size and some areas of land had better potential for survival than others. On the other hand the strategy of a group isolating itself from certain infectious diseases is a pretty short term one since they would be preventing themselves from gaining immunity. And it does not seem practical since diseases could travel easily in the form of animals. And in any case, in order to keep themselves isolated they would have to fight any intruders which would inevitably involve contact with them and therefore defeat the purpose. And when we see groups that have been isolated until the 20th century, for example the Papua New Guinea highlanders we see groups which have been at war with each other but not maintaining the sort of physical isolation necessary to cocoon themselves from disease, see for example Tim Flannery’s “Throwim Way Leg”. So it would be nice to see this research and see if they have considered any of this and given reasons why their theory is still the better one. The assumptions you made were those I intended to imply. The thing I said about keeping the environment constant and varying the genes was daft. What I was thinking was keeping the same society and trying out different sets of twins. But of course those twins would have slightly different environments and ideally you would want to be testing for people with specific genes. So I’m completely wrong. But I’m not sure I agree that the analysis of the numbers is so straightforward. For example, suppose the rates are 0.005% imprisonment overall, but 10% imprisonment for twins of prisoners. Now, you’ve still got approximately 10% difference in variation due to genes, so would you say it’s 10% genetic and 90% environmental? It seems clear to me that the influence of environment is dwarfed compared with the influence of genes with these numbers. And even with the original example, it could be that every single prisoner has a specific gene, and that every single non-prisoner doesn’t have that gene. And yet you were able to conclude that 10% of the variability is genetic and 90% is environmental. You seem to be losing some confidence. This is my point. We can have very clear cut numbers but it’s not trivial to map this into the kind of ratios in your original post, i.e. “20:80 as opposed to 50:50 or 80:20”. I’m not sure putting it terms of ratios such as these even makes sense, although I’m open to correction on that by someone with greater understanding of statistics. There’s loads of stuff about different ways to measure and represent correlations on Wikipedia. I think there’s every reason to believe that it’s not as straightforward to quantify genetic influence as you assumed it was, at least until somebody with greater understanding weighs in. I’ve asked a friend who is an actuary for comment. Damn, there was nonsense in my last comment. Of course you couldn’t have 100% correlation of a specific gene without having 100% correlation for identical twins. I don’t know what I was thinking. Something about not seeing correlations between people with similar genes who are not twins. You raise a good question. The concept of “The Better Angels of Our Nature” is very suspect. It sounds like a not so faint echo of Christian theology. A lot of the points made by Pinker rest on the use of statistics and the importance of the explosion of population due to better nutrition and hygiene. The instinct for defense and resisting attacks is deeply rooted in our “nature”. The “peace” nowadays often results partly from the lack of weaponry. The West (in which we have to include Russia) has been manufacturing all the armaments equipping the warring factions in South America, Africa, Asia. Chimpanzees are notorious for their territorial aggressivity, and war has been a constant dimension of human history and pre-history. Are there really “better angels” in human nature? Or are we speaking of slight modifications of cultural and social environments that seem momentous to us (and even more so to Pinker), but which could be, in a longer time frame, be considered only momentary blips. Barely a veneer, then. If it is true that the explosion of population will aggravate in a not so distant future the supplies of primary materials, minerals, wood, coal, oil, food, water, devastating human conflicts may be very far from being over, and these “better angels” may prove to have been just another misinterpretation of a momentary lull in warring activities. And this without mentioning the specter of a possible nuclear conflagration. If the nuclear Pandora box ever gets opened by an evil hand, the better angels may have to find a nice refuge somewhere, probably where they came from, back in heaven. Right, what I believe I was thinking is that every prisoner could have a specific gene, and I think this is possible no matter what correlations we see for twins. So there could be a very strong genetic influence that we entirely fail to detect by looking at twins. Sorry for comment spam. This stuff is a little bit brain-melting if you’re not used to it. Back when I was at University courses in statistics all stressed the caveat about correlation and causation. Don’t they do that any more? Think all native American tribes. All the genetic work is being done by the highest level of medical and governmental sponsored, as well as corporations, any methodological issues are vetted the best is the world. Why would pro-social behaviors be limited to just the human species? if so where in the history of life did it originate for humans to have those genes? One can totall disagree with the above statement and still think that criminals are mostly responsible for the bad things they do. When questions have a scale like this they should not have words like “totally” in them. This is the reason that when people say “science tells us that …” or “research shows …” about something I help myself to a very large grain of salt. Also consider this question: “Some people feel they have completely free choice and control over their lives, while other people feel that what they do has no real effect on what happens to them. Please use this scale where 1 means “none at all” and 10 means “a great deal” to indicate how much freedom of choice and control you feel you have over the way your life turns out. I, and I think many people, would interpret that as referring to political freedom rather than free will, which further casts doubt on any value in this research. Boy, free will, really behavior control, is all a matter of medical physiology. Pretty much all the topics on here are now medical questions. Not sure what naive language self-reports can offer other than cultural and language norms. It would be helpful if you could provide a link to the research you are talking about. I am afraid I don’t have much knowledge but as far as I can find out there was warfare as well as treaties and federations in the pre-occupation American tribes, as well as inter tribal adoptions. I can’t see that being very effective in isolating them from diseases. Has anybody here suggested that pro-social behaviours are limited to just humans? Discussions of cultural concepts like morality and consciousness, free will imply other species do not. I have a foolish question and haven’t had time to work through the comments in detail. One can (a la Steven Pinker) trawl through the secondary literature and selectively pile up nuggets to support an astonishing range of incompatible conclusions about human nature. So, if there is a human nature, are there human behaviours that are *not* part of that nature? That is, I think, where the “sinister socio-political implications” come in. How would any animal “nature” be assessed/measured without reference to patterns of behavior? I am probably missing the point of your question, but obviously human behaviour is being measured/assessed (unless something else is, but I can’t imagine what that would be). My question is are all human behaviours “human nature”? If so, how is the concept useful? It would have no explanatory power. If not, how does one decide what is not? To pick on poor old Pinker again, why is human nature violent but not peaceful and cooperative, when there is ample evidence for both. The point is all we really have is behavior. Words and statements about those behaviors are merely cultural beliefs and myths until we have experimental medical data also biological and animal ethological. It seems you are talking more about the knowledge claims of various disciplines, rather than the empirical content of human nature. Describing the range of human behaviour nature (which may or may not be the same as establishing the empirical content of human nature) would seem to be the province of fields such as history and anthropology. *Explaining* those behaviours may indeed, as you assert, be the province of experimental medical data, biology and ethology, but that is down the road. Animal ethology and human behavior is, of course, well studied in detail using the medical facts of physiology and biology and now brain science. These facts exist now and are being added to at an accelerating rate. Any ideas about human behavior that contradict biology cannot be factual nor empirical, by definition. “”People reject science because something about the conclusions made by scientists feels wrong.” (Actually, trigger a fear response. )…People reject science because something about the conclusions made by scientists feels wrong. …rejection of all the science areas studied—GM, vaccinations, and climate science—was associated with conspiracy theories…a conspiracy may help dismiss findings that are inconvenient or threatening for other reasons….The invention of a conspiracy can also explain away a scientific consensus—as in the case of climate change. If a person cannot accept that researchers independently converged on the same, evidence-based view, then a conspiracy among researchers provides an alternative explanation. I intrigued by the writings of folks on mind and other magical concepts. It is also interesting the denialism around everything biological and esp brain science. Biology now is settled as deterministic and incomprehensible. it is a medical fact that our intuition, subjective experiences and everyday language is deceptive about how the brain > behavior processes work. Also, biological/medical sciences are getting mind numbingly complex. So i participate in a few blogs and online sites, manage 3 Linked In groups on related topics. So far, i am really the one voice sharing things about biology and brain science. Hostile defensiveness is the default reaction. Censorship and being kicked out of groups the typical response. So the brains instinctive running away from the complexity and new facts about our behavior is universal and consistent. There really is no ability to engage with, even written, statements that our cultural and subjective beliefs are dead wrong. So, this must have had an adaptive advantage when our brains evolved a long time ago. Now, maybe not so much. Philosophers running to advanced physics and cosmology is real avoidance and disassociation behavior, “I can’t tolerate writings about biology and the brain, let’s wax poetic on quantum effects, etc! !” lol…it is amusing to observe…. BTW, philosophical “empiricism” is an oxymoron. Exactly. Determinations are worked out by human beings determining what causal structures enabled a particular event to take place. They have nothing to do with predictions or the rhetoric of people who pretend they can predict the behaviour of individuals or groups in an open system. Well, bench science has proven they are orked out in 140 ms completely outside of feelings, consciousness, etc…like all other animals. Is that retrospective analysis of a causal structure? Or detection of the powers that allow certain phenomena to emerge. Is there a temporal difference for categorizing causes as necessary or sufficient? Don’t know. They wired up the monkey and had them touch red or blue dots and timed and tracked specific neurons and areas of the brain that preceded the “choice” But the 140 ms “decision” point is found in innumerable studies.